I've never had a taste for hot, tear inducing food. Some might even accuse me of having a farmer's palate (you know who you are). My brother Doug for example loves to eat hot sauces and hot peppers for fun. I never wanted any part of it, mild is fine with me, thanks. But something odd happened about 2 months ago. While making some nachos with Amy's Traditional Refried Beans I noticed I was out of salsa. I was pretty bummed as I usually enjoy some salsa or taco sauce on top of my nachos. While looking in the cabinet I noticed an unopened bottle of Frank's Red Hot and that's when everything changed. So I opened the bottle just hoping it wasn't too hot or gross. I put on a couple drops for a test taste. My first reaction is that it's hotter than what I'm used to but it wasn't so unbelievably hot that I couldn't eat it. I put a couple more drops on my nachos and I went to go eat. While eating the nachos I noticed that the taste of the hot sauce was actually addicting. I went back into the kitchen and checked the label for ingredients and was shocked that there were only 5 (Aged Cayenne Peppers, Distilled Vinegar, Water, Salt and Garlic Powder) and they were all natural! Needless to say I grabbed the bottle and dumped Frank's at will. The sauce encouraged me to eat more nachos until the whole can of beans were gone and half of the bottle disappeared. 2 months later I'm even more addicted than ever. I take a small bottle to work in my lunchbox in case I have the urge to dump it on something. My favorite thing to put it on besides nachos is Amy's Roasted Vegetable Pizza. I also sprinkle Frank's on tortilla chips, which is a nice snack. And don't tell anyone but I put a little on a gingerbread cookie (wow, I'm bearing my soul aren't I?). So I admit I have a problem, but I'm not hurting anyone else. Frank's has became a guilty pleasure that I never would have been able to predict and if nothing else, it really clears my sinuses! 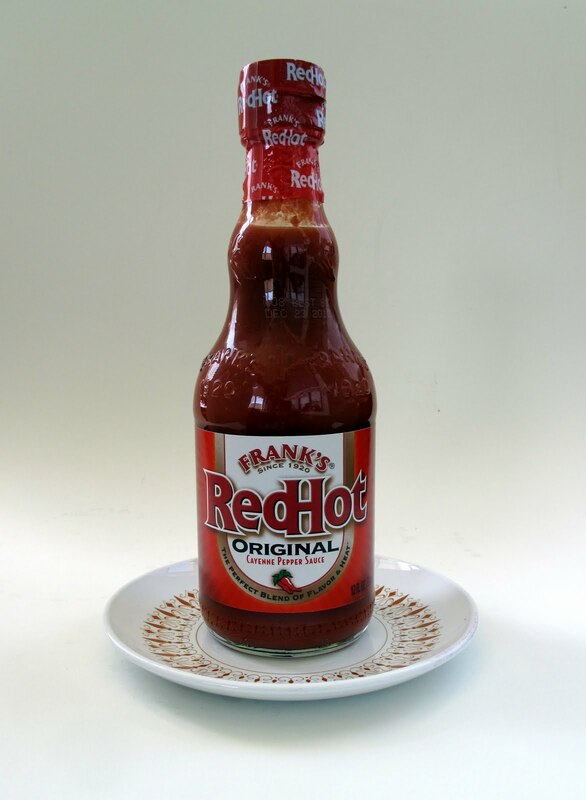 Stock up on Frank's Red Hot today! On a gingerbread cookie! I love it! Next you'll want to make these sriracha peanut butter cookies! I keep a bottle in my desk drawer at work! Yummy! They used to make a hot sauce with lime which was delicious, but I haven't seen it in years. Frank's is a good, mild hot sauce, but I prefer Red Hot Wings for most applications. Check it out, it's really good. I put it on everything! I love it on veggie pizza! I never was a fan of hot sauce and then I moved to Texas and everything changed. Franks is a gateway drug. I would also recommend trying the chili garlic Cholula. It's mild like Franks, with an insanely addictive flavor. I can't get that one here in Canada so I have a friend in the US that sends it to me every few months. The plain Cholula is good, too, but I think the chili garlic one is definitely my favorite. I have a major hot sauce addition. Granted, I'm also one of those people who eats hot peppers for fun. But I dump Frank's or sriracha (sometimes even together) on EVERYTHING! Frank's is the best. No contest. That shite goes on everything. I work in a drug store, and of the hmmm...seven edible things in our grocery section, we have Frito Lay bean dip and Frank's. I mix them up and spread it on EVERYTHING. Come to Austin! I'll take you on the laziest vegan tour ever! try it on popcorn. amazing. So I live in an anti-vegan town (not many vegan-friendly options on the go); I’m studying for final exams and need something quick and easy to eat for dinner. All I have on hand is Amy’s roasted veggie pizza. I read this post and I have to say, I was skeptical. That pizza is sweet, almost sugary sweet. And I was grossed out at first by the mere thought of putting Frank's on it. But I went ahead and drenched the pizza in it, and by God was it beautiful. A perfect match: not too sweet, not too spicy. Thanks for the great suggestion! It's amazing! I like to marinate tofu all day in the Frank's Buffalo sauce. Broil the tofu, top with a slice of pepperjack vegan cheese on it and slap it all on a bun. NOM. 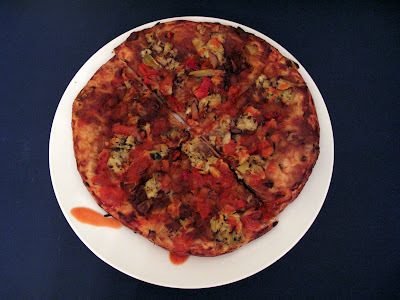 Also good on pizza as the sauce, sprinkle with tofu and spinach or your normal toppings. I've been known to take pulls straight from the bottle. So good! Funny, I am a hot sauce addict and somehow never tried Franks! I got some Franks from what you and Isa were saying about it, it's ready to go! I personally love Cholula (original, haven't tried the chili garlic one! ), Asian Chili Oil (very hot, increase your tolerance first!) and Vietnamese chili/garlic sauce "Rooster" sauce, which I use as an awesome sandwich spread among other things. Once your tolerance for heat goes up, you'll be able to try a lot of them! Another weird thing is that if you eat a lot of hot sauce and then stop, you might start to gain weight. It increases your metabolism :-) Enjoy! You should try Marie Sharp's Habanero sauce. Oh glorious heat and flavor, get on my taco! And anywhere else, for that matter. Franks, ftw!!! Best stuff ever. 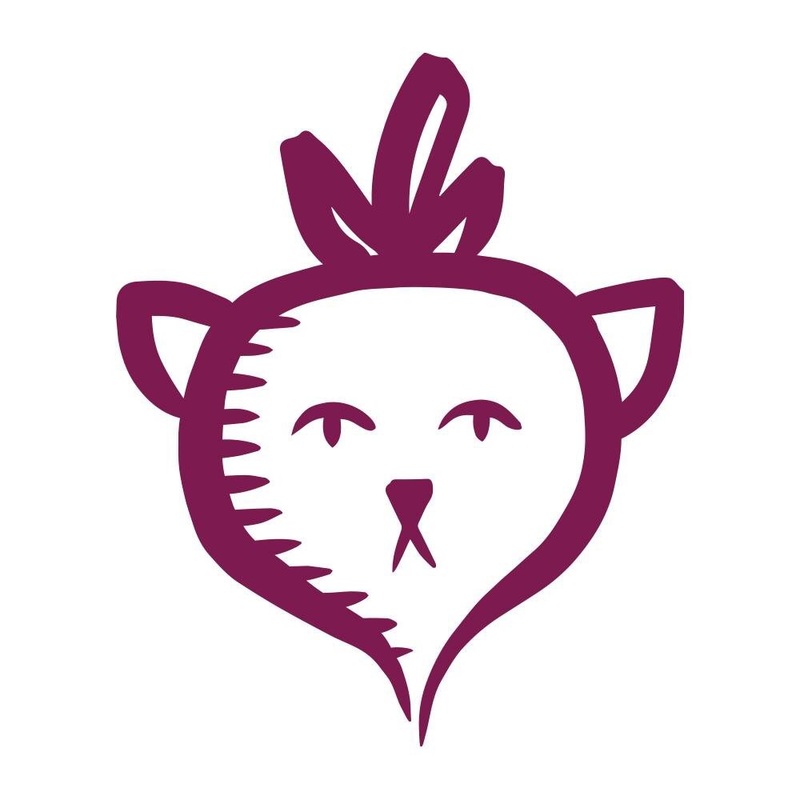 Try it on baked yams with Earth Balance. Franks really is so delicious. My roommate went to college in Ohio and brought back bottles for us to try. It's not just the flavor - it has the perfect texture, too. 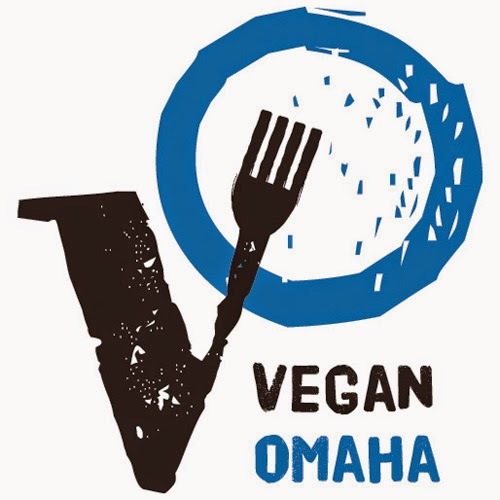 My favorite places to apply it are mac and cheez, collard greens, tofu scramble, beans, and hot and smoky tempeh. Uuuugggh I can't eat most foods without this stuff. You're totally spot on with the addiction thing too-it's super addictive. I need a travel-sized bottle for my purse. Hey now, I love me some Red Hot, too, but how could you do that to Amy's Roasted Veggie Pizza?! That pizza is one of the most amazing things I've ever eaten in my life! Frank's Red Hot is amazing. I like spicy stuff but was never a fan of hot sauce because I always found it to be WAY too vinegary. Yuck. But Frank's... oh Frank's. I <3 Frank's so much. I also am addicted to this sauce. Never been into spicy food or sauces, and tend to pass on the salsa when dining Mexican, but oh my goodness....Red Hot is something in a category of its own. Tart, salty goodness with a kick. I'm a police officer and actually carry a small bottle in my gear in the front seat of the patrol car. I need Franks. It is addictive and tasty. Put it on everything! Ahhh, Frank's! :-) Especially on vegan chk'n strips or refried beans/chips/jalapenos. But I'm confident you could put this on carboard or grass clippings, and I would happily eat it.